Every once in a while, I work with a writer who tells me they are worried they have "too many characters" in their novel. In some cases, this might be true, but from my experience, most of the time, this is actually a slight misdiagnosis. The problem isn't the number of characters, it's how the characters are handled. Readers can surprisingly remember a lot of characters. Like usual, I'm going to point to Harry Potter as an example (really, is anyone surprised? 🙃). Even if you are only looking at the first book (which is the shortest), the audience is still interacting with a lot of characters. You have not only Harry and his family, but his close friends, other students, the faculty, non-faculty residents of the castle (like Nearly Headless Nick and Firenze), the Weasleys, and even pets (Hedwig, Scabbers, Trevor, Fang, and Norbert), not to mention off-page characters, like Lily and James. So how do we make a big cast of characters work? First, consider if your story actually benefits from a large cast of characters. Some genres and settings do not. You obviously don't want to put a lot of characters in Gary Paulsen's The Hatchet. It doesn't work with the premise and setting. Other stories and premises almost beg for a big cast--stories that have a lot of worldbuilding and societal aspects. But I think the average person can deduce whether their story could actually have (or needs) a large cast. 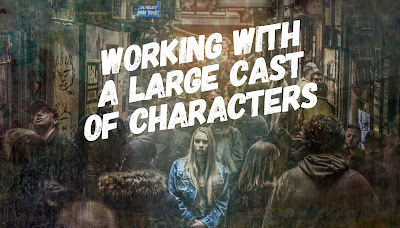 A lot of the tips in here can really apply to any size of cast of characters, but they are particularly important for large casts. For sure one of the best ways to confuse your audience with your large cast is to use names that are difficult to differentiate. After all, we are dealing with reading and writing, so that is visually what the audience is looking at. Rhyming names - This might sound like a good idea (and you might even point at Tolkien as a reason to do it), but you should almost never use rhyming names. It makes it harder for the audience to see those characters as individuals. People may be tempted to do this with twins (which feeds into the "Twins as Clones Epidemic"), particularly if the twins are "clones," which in that case, they should probably be combined into one character anyway. Look or Sound Similar - Beyond rhyming, you should really be watching out for any names that may be similar on the page. Cognitively, we often notice the first and last letters--and especially the first. Beyond that, we notice the length and syllables. If you introduce two side characters around the same time and they both have H-names that are short, like "Henry" and"Harry," it will be more difficult on the audience. 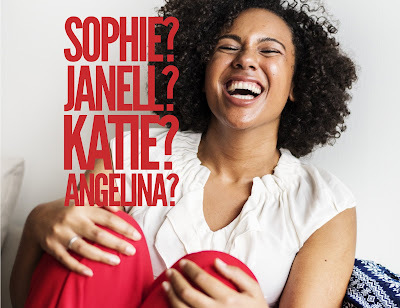 Too Many Common/Traditional Names - Some names are just common and traditional. Which isn't bad in and of itself of course, but they can sometimes be difficult to differentiate when there are a lot of them all at once for side or minor characters. "Tom," "John," "Joe," "Robert," "David," and "Michael" are some examples. Fine names, but if you have a bunch together, you'll need to differentiate using other methods. Note: Use an usual name to make a character stand out. But also keep in mind that if it's too difficult to pronounce, it may also be difficult to remember, since the reader may just scan over it. 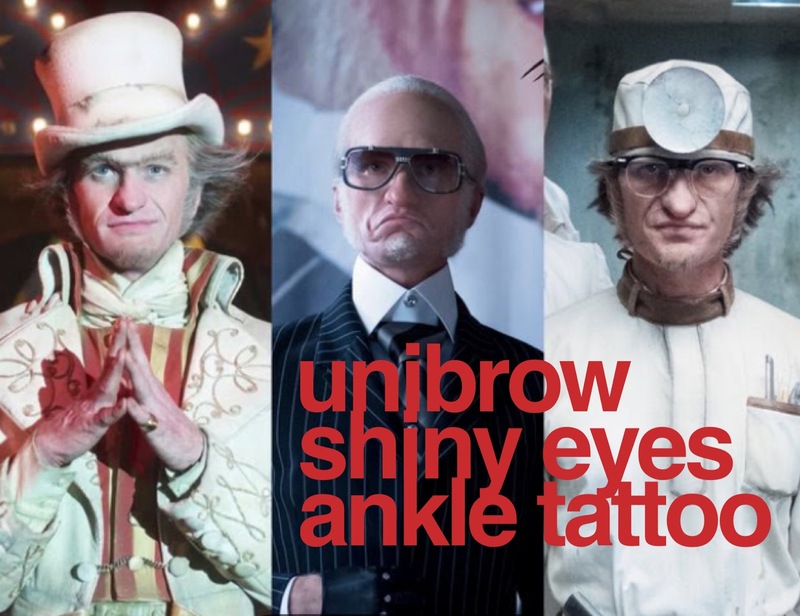 If you do have characters with similar names, make sure to differentiate other characteristics and try to introduce them in completely different scenes. Also, the more important the character, the more likely you can get away with similar names, because the more differentiated they will be. Learn more on picking character names here. Character tags are words or descriptions repeatedly used in association with a character. The great thing about character tags is that, for the reader, they immediately bring that specific character back into their mind, with very little work. In A Series of Unfortunate Events, Count Olaf is tagged with having a unibrow, shiny eyes, and a tattoo of an eye on his ankle. All of his henchmen are tagged too. One has two hooks for hands. One is androgynous. Another is bald. The sisters use white powder on their faces. In fact, in the series, most of the characters are over-tagged simplistically to make them more into caricatures, which suits the kind of "unreality" the author is working in. But this sort of thing works of any kind of story. For a tag to be effective, make sure it is specific and not generic or vague. For example, you probably don't want to tag a female character with long hair--a lot of women have long hair, so it's not memorable (unless in the worldbuilding long hair isn't allowed). The best details to pick as tags are the things that are most noticeable about that character--that's what the viewpoint character is going to notice first anyway. 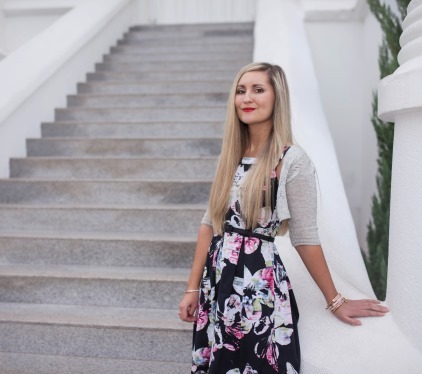 This post talks all about picking the right details. Note: Character tags don't always have to be physical descriptions. They can be demeanors or dominating personality traits--you may use words like "cute," "greedy," "whiny," but almost always the tags include some physical description. In Harry Potter, Ernie Macmillan is tagged with the word "pompous." But this brings me to the next section . . . There are some people in the world who walk in the room, talk to you for a few minutes, and you immediately get a sense of who they are. This effect can be especially helpful with large casts. Some of you may remember Disney's remake of the movie Tron. Like it or hate it, in it there is a side character who does this exact thing, Zuse. I remember talking to my family member about how even though that character wasn't in the movie much, the actor immediately told me what kind of person he was. People have their own worldviews, lifestyles, voices, and emotions. Try to convey that with how your character presents herself. Again, if you need to differentiate them, try to make it specific. 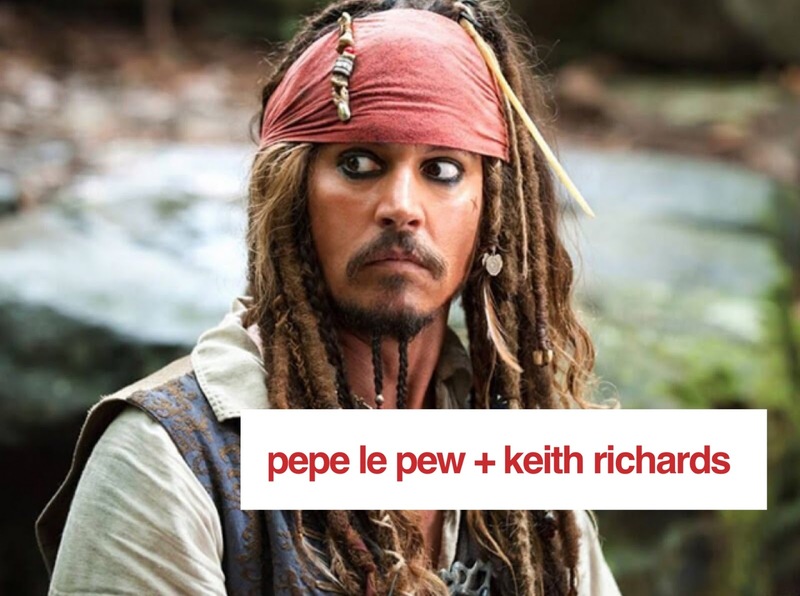 I love the story of how Johnny Depp came up with Jack Sparrow's demeanor--he actually took two unusual people (one fictional) and smashed them together to create something new. I did a post on that and demeanors here. If you pay attention, you'll notice most people in the real world have certain dominating emotions. Some people always seem miserable and whiny. Others might be too optimistic. Some smug. In reality, we all have a dominating range of emotions--and our characters should too. You can learn more about that here. Note: Other than specific, special circumstances, make sure that you don't give the same demeanors to multiple characters. And even if they are similar, for example, both are arrogant, try to find a way arrogance manifests differently in each character. This is pretty self-explanatory. Sometimes you need to jog the audience's memory of a side character they met who hasn't been on the page for a while. The above techniques can help, but sometimes you'll want to slide in a bit more. 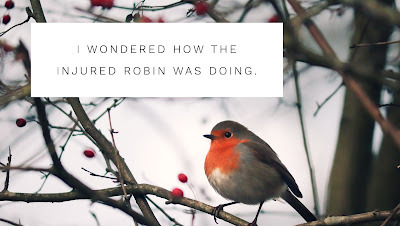 For example, if the protagonist meets Jennifer and learns Jennifer rescues wild birds, you might slide in a line like this when she returns to the page later: "I wondered how the injured robin was doing." What you don't want to do is spend a lot of words backtracking to when we last saw that character (unless it's important to the story of course). Find some words or a line that associates the current moment to the last to jog the audience's memory and help them place the character. Sometimes the writer has a big cast of characters and they like so many of them, their perspectives and personal stories, that they try to write more plot and viewpoints than fit the story. 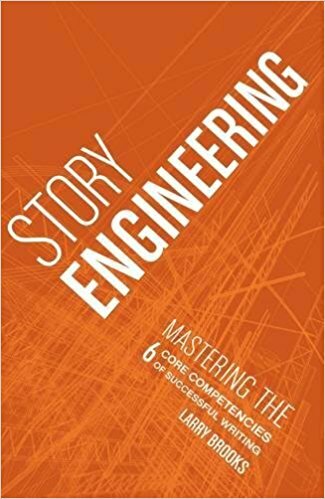 You can absolutely include more than one plot (in fact, you should, in some sense) and more than one viewpoint, but they need to work together to focus and clarify the main point of the story, not muddy it. In rare books, you can have loads of viewpoints. In college, I read Brownsville by Oscar Casares, which basically has a different viewpoint for every chapter, but it works because the book is really about the city, Brownsville, rather than the characters. But most stories, especially commercial stories, aren't like that. Focus on a few main viewpoint characters. In some cases, you can still sprinkle in scenes from other viewpoints, but almost always the scene needs to have a function beyond just giving that character's view. Remember that just because one character's view and personal story line doesn't fully play out on the page doesn't mean it's nonexistent. In fact, having that is an important part of writing authentic side characters. Not to mention that it's helpful for you as an author to know it. Choose the plots that speak to the main elements of the novel. 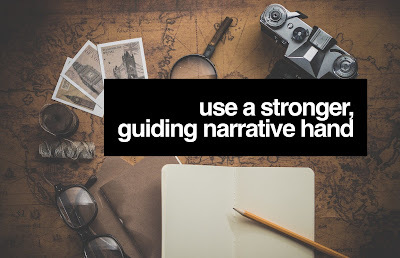 To some degree, this is based on your own judgment and vision for the story, but other elements, like considering your target audience and the appeals of your novel, are helpful too. 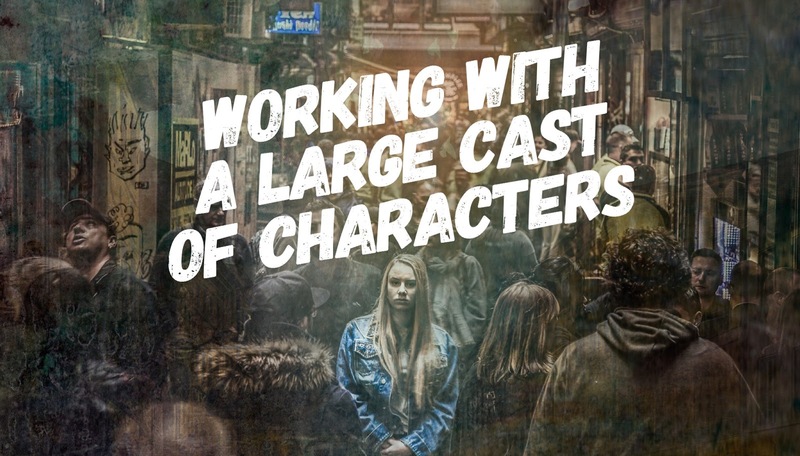 One of the most effective ways to focus a novel with a large cast of characters is to consider the theme and ask which character stories best relate to it. 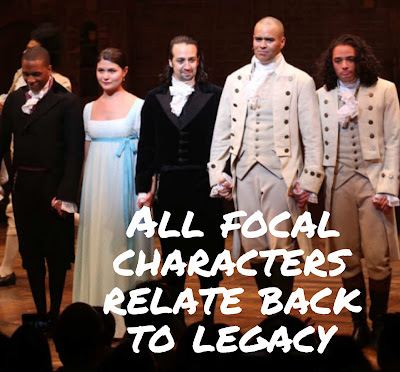 In Hamilton, almost every "character story" explored relates back to the theme of legacy: Hamilton, Burr, Eliza, Angelica, Washington, Lafayette, Hercules--and provides different manifestations and views of it. More on that here. In the end, the main thing is to focus the story and differentiate the characters. If you have a large cast of characters, the audience will likely need more of the narrator's guiding hand to keep things straight. Focus on the most important characters and let the side characters be side characters. You can learn more about crafting great side characters in this post. Great tips! Quite a few things I hadn't thought about.